This is a time of magnetic significance. We are moving into an Earth time phase of increased human potential that you have been preparing for over many years. For some it was a conscious preparation and for others there was much occurring beneath the surface as you now become aware. Over these years of preparation, you have been clarifying your intent and courage, exercising your creative potential and focus, and learning the ins and outs of Divine Human Being. As you discover the Truth of who you are, magnificent magnetic Love in physical expression, you recognize your innate ability to effect change in your world through your True Power, Love. It has been a reconciling of the erroneous teachings, the effect of time on manifestation, the interaction of the will of your human self, Higher Self and cooperative sharing of Life with all the Angels on Earth. As you blaze the trail of Loving Life courageously through all its varied facets, you have come to know the value of all expression, all experience and the Universal Flow of Life, which is inherently benevolent. Here we pause in a moment of rest as we hold a powerful catalyst in focus – Asking. Why Asking, you may ask? ;o) Why not commanding if I’m such a powerful Creator – I command my reality! That is Well and True, Powerful One, but let us look fully at the meaning and then you’ll clarify your intent and use them interchangeably, for most assuredly, this is a time of Empowerment. When you Ask, you put an intent to learn and expand out into the etheric field. Your emanations have an imprint upon the unseen field around you that beckons response. This is why those that have been preparing for years have become aware of their intentions and belief systems that silently radiate a signal into their creations. When you become astute, you recognize your own beliefs and intentions reflected back to you in all you experience. When you Ask, you receive an answer, whether informational, material or experiential. In the energetic of Asking, you are open to possibility and Flowing Freely with potential; you are beckoning, and the response is resonant energy – also Flowing Freely with potential. Thus what you emit and receive becomes co-creative and expanding. All things have their duality within, for the engine of duality is part of the dynamic of Life on Earth that makes it such a fertile playground. Without it, the clarification would lack definition for refinement, though duality is not the Whole picture, just part of the reflection. For the sake of clarification, we will define the dual nature of Commanding and Asking, so that as you utilize each one, you are clear about the full intent of your creation. When you command, there can be a rigidness to it that indicates the energy of fear, doubt, or belief in overpowering to create. When you create from the inflexible energetic of commanding, be sure that commanding is necessary. Certainly you recognize that sometimes commanding is the wisdom choice. There are times when your inflexibility to accept abuse or dominion is best served with a command. At other times, as you command, you limit creation through false control, when what you are truly intending is to allay a fear or fill a lack. It doesn’t matter if your intent is courageous or hidden cowardice, as long as your awareness is clear. If you find yourself aware of creating through fear, be proud and joyful that you have the courage and clarity to recognize it and choose anew. The energy of Asking has its dual nature as well. When you Ask with the openness of the excitement of creating and a clear Knowing that the timing, progression and outcome is not only perfect, but will bring expansion; Life becomes a joyful experience of wonderment, peace and Love for All. When things seem to be stalled or changing paths, you don’t observe failure, you look clearly without fear at the possibilities in front of you. You are aware that you may need to clarify or participate with some challenging experiences, but when you are open and conscious, you create without resentment or resistance. Thus what was challenging becomes empowering, what would be deemed as lack becomes an open vessel, what others would judge as failure becomes a step along a path of creation that benefited in ways perhaps known and unknown, but valuable nonetheless. To appreciate the other side of the coin, are you Asking from a stance of disempowered belief in your ability to create? When you Ask with doubt in your self-worth and capability, that energy of fear, distrust and manipulation is embedded in the energy of creation. When you give your power over to another because you don’t believe that you can handle responsibility, your own ability to respond is limited. As you ask and create from this disempowered state of Being, you are open to being overpowered by those of resonance to overpower. There is no judgment in the intent behind Asking or Commanding, it is merely answered with like energy. Here we strengthen our understanding of our own intent with Asking. As we sit to Blast Asking, we are enhancing our Divine childlike wonderment of the joy of Life on Earth. We are becoming ever clearer in our intent to hold the energetic resonance of the New Age of Love, as we Love ourselves so dearly that we overflow with the resonance of Love for All Life. We are recognizing the empowering difference and similarity between Asking and commanding and utilizing both as our innate wisdom guides. We ARE the resonance of Love, creating the new world within and aligning with a life of freedom, joy, capability and Love. This is what you’ve been preparing for, now place your order and receive even more than you imagined possible. Blast on! Great article articulating clearly the very subtle difference between asking and commanding. Thanks for this useful insightful blast! 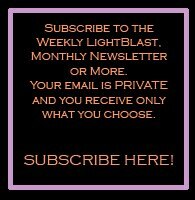 The Weekly LightBlast is an opportunity to participate with other Lightworkers in a weekly healing based on a channeled Ascension topic. I send out the new topic each Friday and I do the healing each Saturday at 9am Pacific if you choose to participate at the same time. As we heal ourselves, the world changes. We then participate in life from a more balanced and empowered space. Blast on! Jamye Price is an energy healer, channel and teacher. She channels Light Language, which are universal language codes that your heart and infinite mind speak fluently. 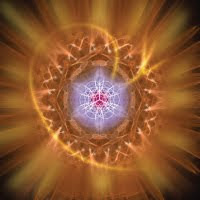 Light Language works like a stem cell, it is Dynamic Frequency Encodings of Sound and Light that adjust to your needs in each moment as guided by your Higher Self. When Jamye is running healing frequencies, she speaks and signs Light Language, tones, emotes, and physically clears imbalances through Divine Grace. Jamye’s work assists with transmuting physical, emotional, mental and spiritual blocks into wisdom, compassion and empowerment. She teaches self-love, forgiveness and finding a perspective of Love to provide people with practical tools for Soul Progression and creating a joyful life. Jamye’s passion is Ascension - bringing people to the understanding of the Truth of who they are; cherished, powerful and brilliant Divine Humans, interconnected with All Life. 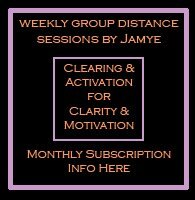 Jamye offers private sessions by phone, group sessions and classes, Light Language healing CDs and a free Monthly Newsletter and Weekly LightBlast to help assist Lightworkers on their Divine Path. For more information visit www.JamyePrice.com. © Crystalline Soul Healing. All Rights Reserved. Theme images by Barcin. Powered by Blogger.